Klamath County Emergency Management has mobilized volunteers to respond to possible flooding along the Sprague River after water levels rose beyond expectations Tuesday. In a statement from Emergency Manager Morgan Lindsay, water levels between Beatty and Chiloquin were higher than what expected after increased rain and snow melt. Lindsay said levels observed Tuesday were greater than was observed during minor flooding of the Sprague River last month. She said she could not explain why but said volunteers are monitoring water levels and ready to respond with sandbags and other assistance as needed. As of Tuesday, sandbags were being distributed at the Chiloquin Fire and Rescue headquarters and Station 3, and the Sprague River Community Center. Residents with concerns can contact Lindsay’s office at 541-851-3741. The Bureau of Reclamation and PacifiCorp may be increasing releases from Upper Klamath Lake at Link River Dam to maintain adequate flood control capacity in Upper Klamath Lake, according to a BOR news release. The increased releases, if needed, would be a result of increased inflows to Upper Klamath Lake due to recent and forecasted rain in the Upper Klamath Basin. The exact timing and magnitude of increased releases will be dependent upon the actual precipitation that occurs in the Upper Klamath Basin over the next several days. Link River flows may increase to a maximum of 7,700 cfs, and Iron Gate Dam releases may increase to a maximum of 12,000 cfs. If increased releases are warranted, the risks of flooding in the Klamath River downstream of Iron Gate Dam will be evaluated and the releases will be made in a manner that does not exacerbate flooding conditions along the Klamath River corridor. 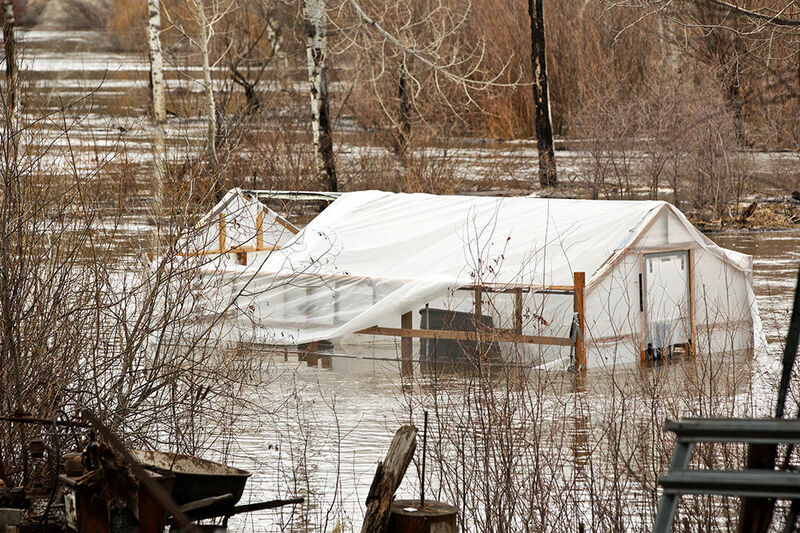 Residents and those recreating along the Link and Klamath rivers, and on Lake Ewauna, should be aware, expect rising water, and take appropriate precautions. This flow release is being done for flood control purposes but may also provide ecologic benefits including contributing to fish disease mitigation in the Klamath River below Iron Gate Dam.